Professional run coaches James and Cheryl Sheremeta each have over 20 years of experience coaching runners of all levels from novice to elite athletes. Both have coached thousands of runners for charity training teams and have helped raise millions of dollars through these programs. 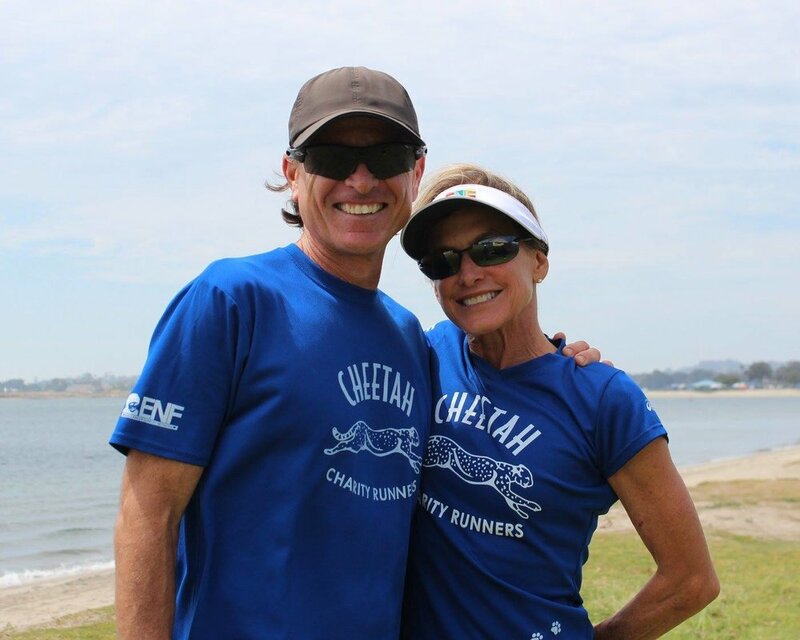 James and Cheryl are thrilled to partner with The Emilio Nares Foundation as coaches for their new Team: "Cheetah Charity Runners for ENF”. James and Cheryl have extensive racing backgrounds competing and winning races from 5k’s to marathons over the past 30 years. James is a sponsored national class masters’ distance runner and has won countless races ranging from the mile to the marathon. James’ top race performances include overall wins at the San Jose Marathon, San Diego Half Marathon, La Jolla Half Marathon, San Dieguito Half Marathon and the Maui Oceanfront Half Marathon. Cheryl’s race wins include the Maui Marathon, San Diego Marathon and many Half Marathons. Cheryl was also a former professional triathlete and completed three Ironman World Championship races in Kona. Cheryl and James look forward to sharing their personal experience as elite athletes and respected veteran coaches while supporting The Emilio Nares Foundation. They will help you reach your running and fundraising goals and you will be helping a very worthwhile organization. ENF provides vital services for underprivileged children with cancer and their families, including transportation to and from chemotherapy treatments. Together, our Team can ensure that no child misses a cancer treatment due to lack of transportation!